Often we are asked whether or not Super Alloy 5 can join thick pieces of aluminum to thin pieces. In this clip we join a heavy section of aluminum to a thin piece of tubing using an oxyacetylene torch. 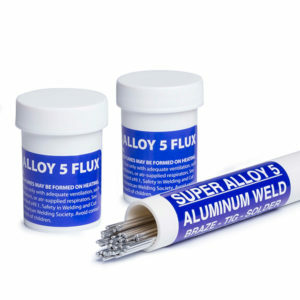 Unlike other aluminum brazing rods, you will notice the Super Alloy 5 flux not only acts as an exact temperature guide–flowing when the base metal reaches 600 degrees, but the flux also cleans the area, which eliminates the need to wire brush, sandblast, or use acids to preclean your metal. 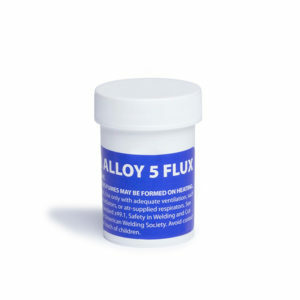 Because the flux follows the heat and the rod follows the flux, you are able to weld even hard to reach areas.